The new AC/DC LED Pro features technological upgrades implemented by Stern in its current Pro models. 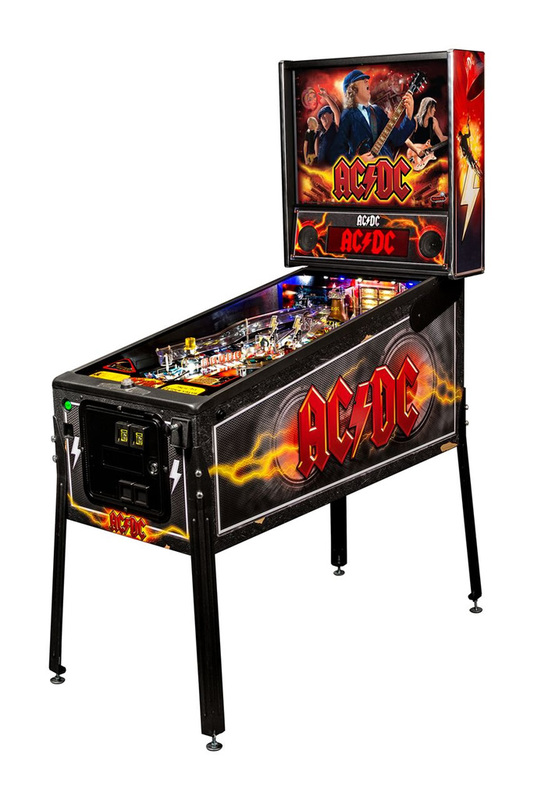 In addition to the LEDs and the swinging bell, the new AC/DC LED Pro is manufactured with Stern’s updated modern metal and wood back box with a decaled cabinet and speaker housing. All the other great game features, art and music are unchanged from Stern’s earlier AD/DC Pro.